May 30, 2017 – After evaluating a record number of applications, NASA will introduce its new astronaut candidates at 12 p.m. MDT Wednesday, June 7, from the agency’s Johnson Space Center in Houston. The astronaut candidates will join acting NASA Administrator Robert Lightfoot, Johnson Center Director Ellen Ochoa, and Flight Operations Director Brian Kelly on stage at the event, which will air live on NASA Television and the agency’s website. Following the announcement, media in attendance will have the opportunity to speak with experts about the astronaut selection and training processes, and spacecraft in which the new astronauts could fly. In addition, tours of Johnson’s astronaut training facility will be offered. Media must request credentials to attend no later than 6 p.m. Friday, June 2, by calling Johnson’s newsroom at 281-483-5111. The astronaut candidates also will be available to talk to media in person at Johnson and by remote satellite link June 8. Media interested in this limited opportunity should contract Brandi Dean at brandi.k.dean@nasa.gov to request an interview. After completing two years of training, the new astronaut candidates could be assigned to missions performing research on the International Space Station, launching from American soil on spacecraft built by commercial companies, and launching on deep space missions on NASA’s new Orion spacecraft and Space Launch System rocket. With more human spacecraft in development in the United States today than at any other time in history, future astronauts will launch once again from the Space Coast of Florida on American-made commercial spacecraft and carry out exploration missions that will take humans farther into space than ever before. The astronaut candidates will report to Johnson in August to begin their training in spacecraft systems, spacewalking skills, teamwork, Russian language and other necessary skills. The new astronaut candidates were chosen from more than 18,300 people who submitted applications from December 2015 to February 2016, more than double the previous record of 8,000 set in 1978. 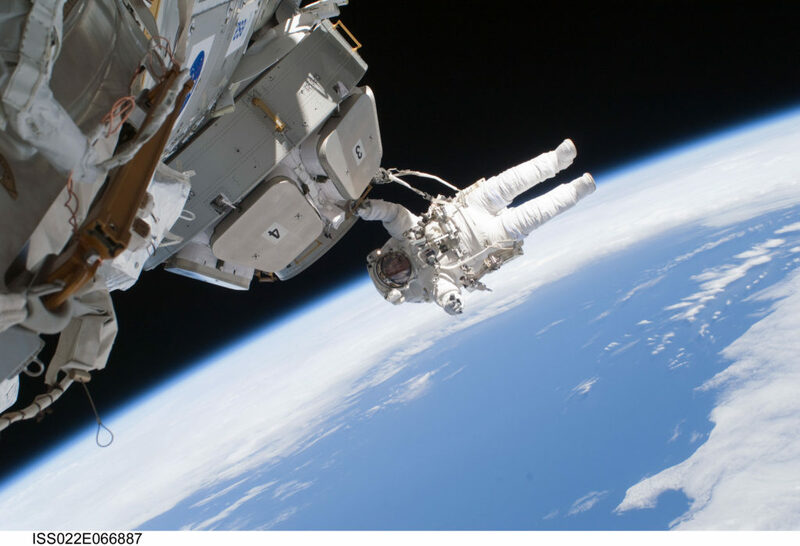 U.S. citizens in all 50 states, the District of Columbia, and U.S. territories Puerto Rico, Guam, and American Samoa applied for a chance to join NASA’s astronaut corps and take part in the nation’s human spaceflight program. Requirements to apply were U.S. citizenship, a bachelor’s degree from an accredited institution in a science, technology, engineering or math (STEM) field and at least three years of related experience, or at least 1,000 hours of pilot-in-command time in jet aircraft.